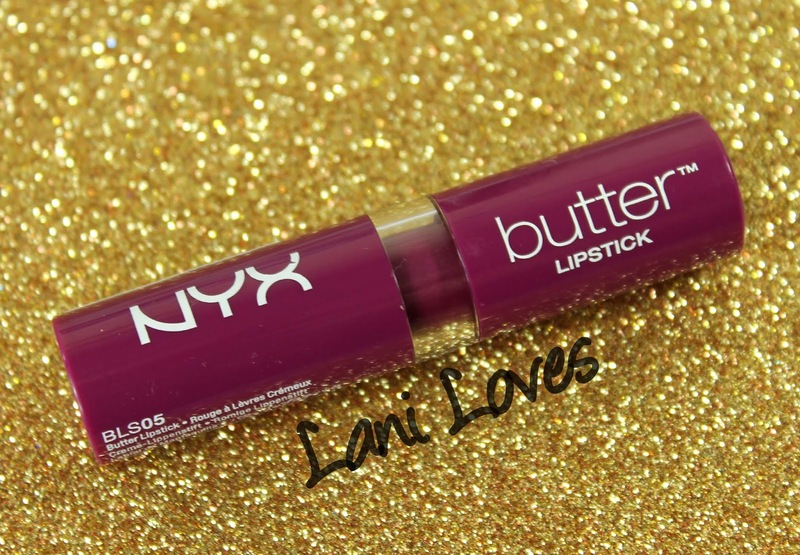 The super popular NYX Butter lipsticks have been out for quite a while now but I, ever late to a band wagon, hadn't given them a try until I picked this one up on a whim recently. 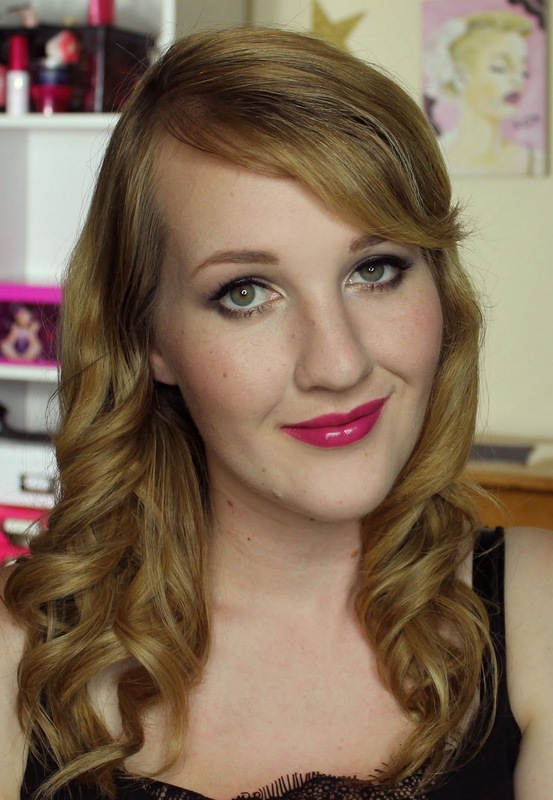 I kinda have mixed experiences with NYX; I love their Soft Matte Lip Creams but feel so-so about the Round lipsticks. 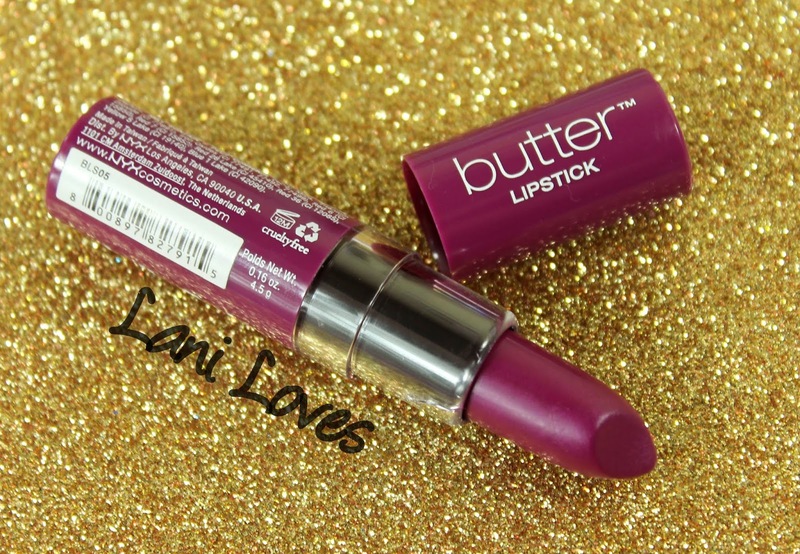 My lovely friend Nicola (aka Leona Carolina's Closet) wanted to know what I thought of the Butter lipsticks so I bumped this to the top of the review pile - which reminds me, if there's something you really want to see reviewed, please let me know and I'll see what I can do! One awesome thing about the Butter lipsticks is that the packaging is matched to the lipstick colour inside. 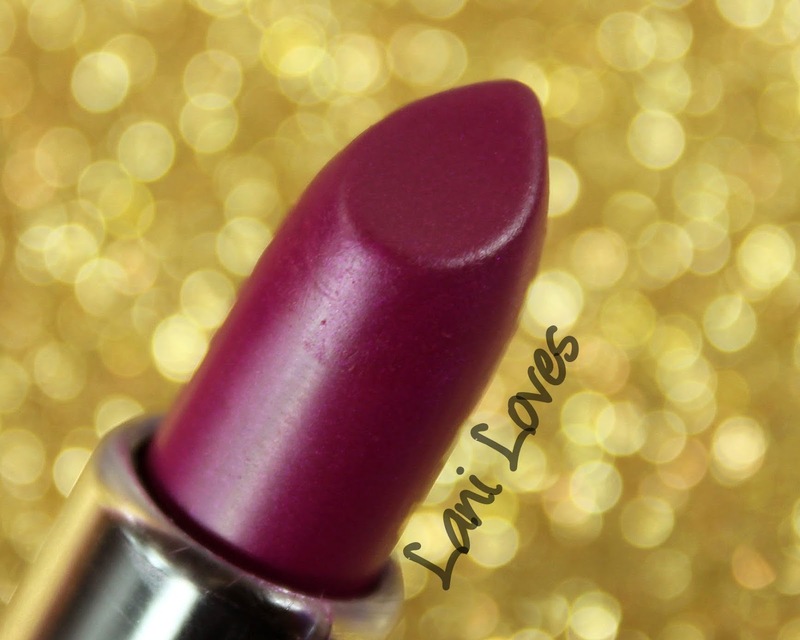 The packaging is lightweight plastic and feels a little cheap and flimsy - there is a large crack in the clear plastic on my tube (it can be seen on the underside of the lipstick in the photo below). The Butter lipsticks do retail for a very inexpensive $6USD though, so I suppose I can't really expect the packaging to be super strong! Hunk is a berry creme with ultra subtle shimmer (I can see it in the tube, but I can't spot it at all on the lips) and mostly opaque colour pay off. It's buildable and semi glossy with some slip. Hunk is a little patchy and sheer so I found it a little tricky to get a really crisp edge to my lipline. It wore for three and a half hours, losing some shine over time and looking more like a lipstain by the end of wear. It wasn't drying, didn't feather or migrate and left some staining. The NYX Butter lipsticks have no scent that I can pick up. 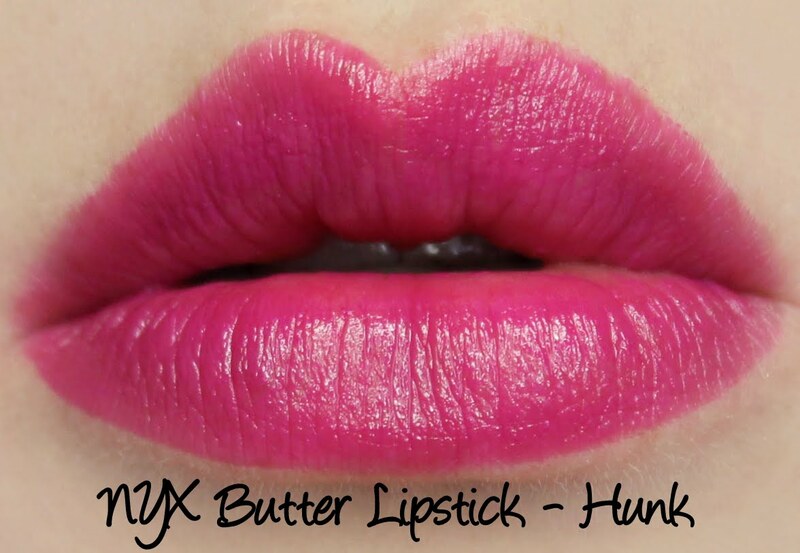 I want to love this, but my first experience with the NYX Butter lipsticks is just a bit meh. I think I'll stick to the Soft Matte Lip Creams for now!